DALLAS -- Lexus is readying a crossover concept that it's calling a new "flagship," perhaps mimicking a move with its car lineup where it created the new LC flagship coupe priced above $100,000. The concept will debut at the Detroit auto show next month. "The Lexus LF-1 Limitless is a flagship crossover that redefines the boundaries of luxury and performance," the company said Tuesday in a statement. The LF-1 concept was created by Lexus' Calty design studio in Southern California, which was also behind the LF-LC concept revealed at the Detroit auto show in 2012 that later morphed into the striking LC coupe. 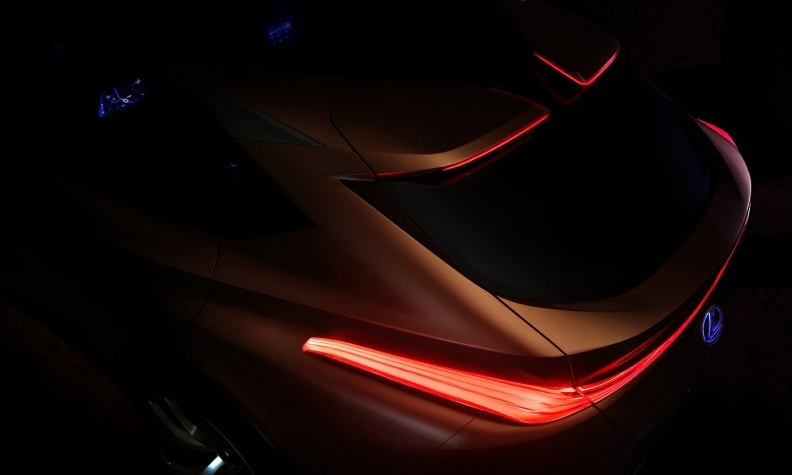 A teaser photo of the LF-1 reveals a heavily stylized rear hatch with a mix of curves and angles that suggest a crossover interpretation of the LF-LC, which was considered a design breakthrough for Lexus. Such a vehicle, if produced, could better take on the high-end crossovers and SUVs rolled out and planned by rivals, such as the BMX X7, Range Rover Autobiography and Jeep Grand Wagoneer. Jeff Bracken, general manager of the Lexus brand in North America, told Automotive News last month that the brand intends to make a slew of product-related announcements next year, including concept vehicles, special editions, anniversary editions and next-generation models. Bracken has advocated for a large crossover that could be built on the new modular GA-L architecture that will find its way into the next generation of Lexus cars and crossovers. Currently, the largest crossover Lexus has to offer is the midsize RX in the L body size that debuted at the Los Angeles auto show last month. Above the RX L lie the Lexus GX and LX, SUVs built on aging body-on-frame platforms shared with pickups. That platform limits the on-road performance of the vehicles, although both have serious off-road chops thanks to their rugged Toyota siblings, the 4Runner and Land Cruiser. With Lexus earmarking more engineering resources to develop performance vehicles, and crossovers and SUVs accounting for 65 percent of the brand's U.S. sales, it would be logical for Lexus to move into sportier luxury crossovers, Bracken said during an interview on the sidelines of the Los Angeles show. Bracken didn't mention the LF-1 last month and also held back on whether next year's product announcements include a production version of the UX subcompact crossover concept that could slot in as an entry-level Lexus, given the discontinuation of the CT hybrid.